AN UNUSUAL type of surf plane powered with a reclaimed wartime rotary airplane motor has been designed by Sol Messina, of New York. He expects his novel craft to develop a top speed of 85 miles an hour. 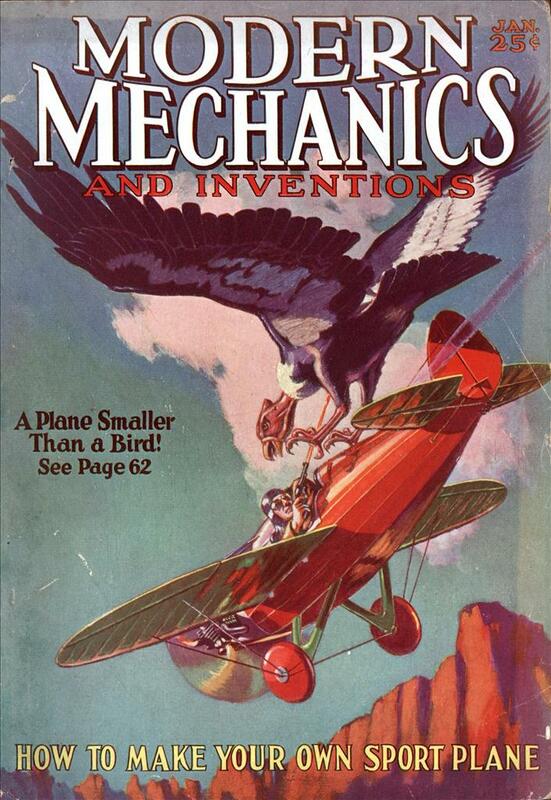 As the above photo shows, the surf plane is of light but sturdy construction. Pontoons and cabin are made from tin, the former being made watertight to support the weight of the ship. A cloth rudder at the rear serves to steer the craft. The rotary engine was salvaged at a cost of $50, affording a cheap but dependable power plant. An unusual feature is the mounting of the engine at the rear of the boat, where it pushes rather than pulls the plane. Cabin and engine are supported by steel tubing of the type used in building airplane fuselages. The photograph shows the surf plane in New York harbor, where tests are being conducted. Looks like it to me, except they were not interested in skimming over weeds in Florida. I’ll bet if he got anywhere close to 85mph the boat would start to become airborne and lose control. Now, when he built the rest of the boat out of sheet tin, why could he not build the rudder out of it as well, and why was it important to tell us that it was made of cloth. 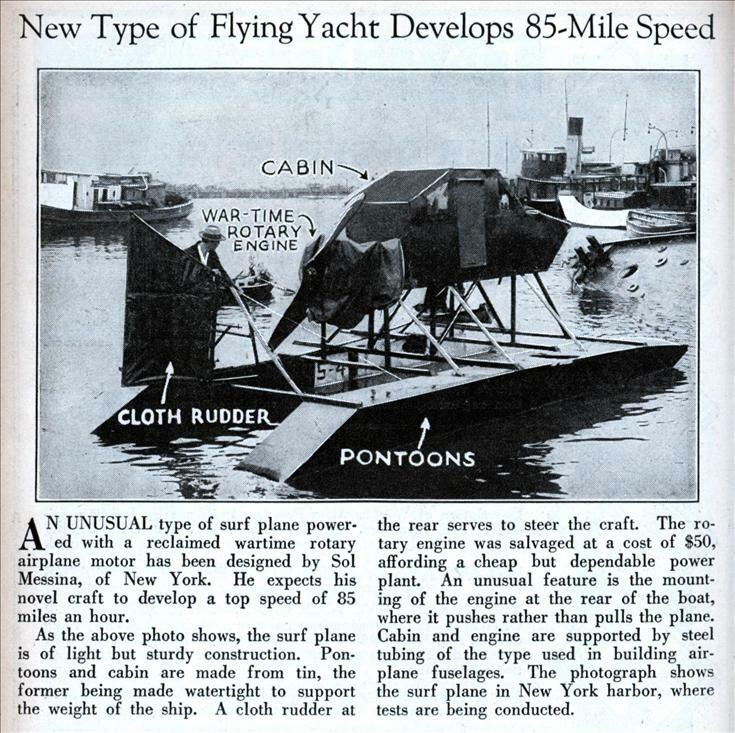 Also, ever notice how the headlines on these articles imply that the plane/boat/car/modern convenience has been demonstrated at some fantastic statistic only to find in the body that the machine is an untested prototype at best? Would you prefer to be hit in the face by a piece of flying sheet tin rudder or a fabric one? The rudder is behind him, in fact, right in the slipstream of the engine. It’s certainly not going to hit him if it disintegrates and I’d expect that anyone running this would keep the area around them well clear for tests. You’d also think that a cloth rudder would be much more likely to come apart right behind the engine, especially as loosely built as that one appears to be, causing him to lose control of the craft entirely.